In the first installment, I went over my list and some of the expectations and experiences of this years Late War Nationals Tournament held in Fredericksburg, Virginia. After a ten hour drive and a no show for my first game, I was ready to get into playing and have some fun to make this trip worth it. I was not the only one without an opponent, as I soon found out in game two. 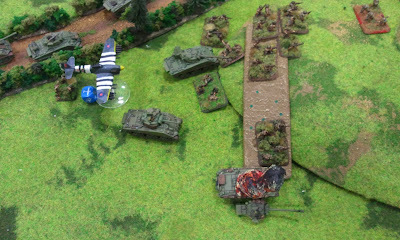 Chuck Leach was my opponent and we both discovered we each sat out round one with no one to play against. Not a big deal for either one of us, only we could have played the first round if it was caught in time. There were a TON of players, so Dave and Bruce had their hands full for sure. So much so, that I presented them each with one of the WWPD coins for doing a great job running this event. I can't wait for next year and Early War! I know I mention never having played Cauldron, this was only the case in tournaments. It doesn't get played much though, but after the tournament, it's a fun scenario and not sure why players don't like it. I won that game by only a narrow margin, Chuck's reinforcements gave something else for my Sherman V's and Firefly's to deal with as I tried to put some more pressure on him. 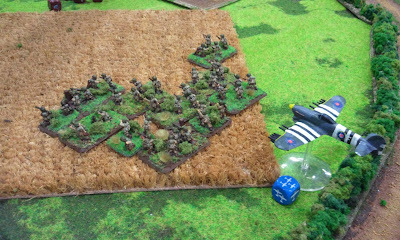 The game started out with Chuck electing to use the Night Attack rule out of the rulebook, so visibility was cut to 4" at a time and rolling the dice to see how far our troops and armor could see in the dark. 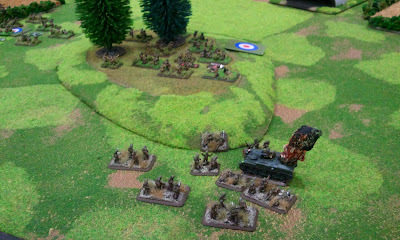 As shown in the video, I struck first and was able to cut down three out of four tanks in one of his armored platoons. He made his motivation and was able to shoot back, only the visibility was so poor due to low light, the sole surviving Sherman V couldn't see his targets due to darkness. I think it ended up being a 4-3 win for me. The Canadians Prepare To Move In! A Kangaroo Takes A Long Range Firefly Hit!! Everyone Off the Bus!! Game three, and the last one of the day! I faced off against British Paras and came face to face against a former Marine. 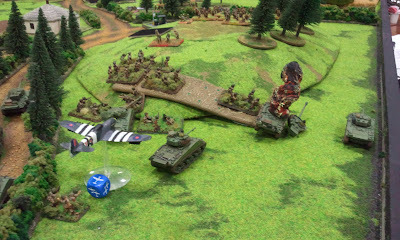 The military is a dominant force for Flames of War gamers. It seems a lot of players either served or are are still serving in the US military. 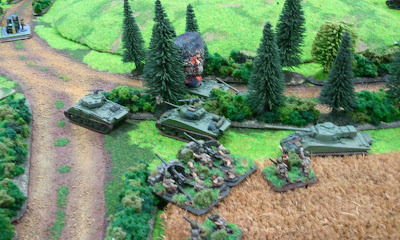 I wish there was as much interest up here in Canada to play Flames of War, it would be great to have a larger following and larger events in Canada. I get that there is a 'Nationals' being held in Calgary this year, but really.....it's more of a West Coast Regional event than a National one in my opinion. I'll be looking to perhaps figure something out for this region as it boasts more players in the top 25 than any other part of Canada. 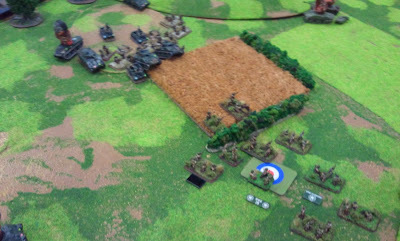 On to the pics of my game against Mike, the super friendly and former Sgt. Major of the USMC. Video is after the pics! Armor Moves Towards The Objective Under Heavy Artillery Fire! Multiple Typhoons Close In On The 82nd! Another Pass To Finish Off What The Minefield Couldn't!